Why See Detroit Symphony Orchestra - May the 4th Be with You? 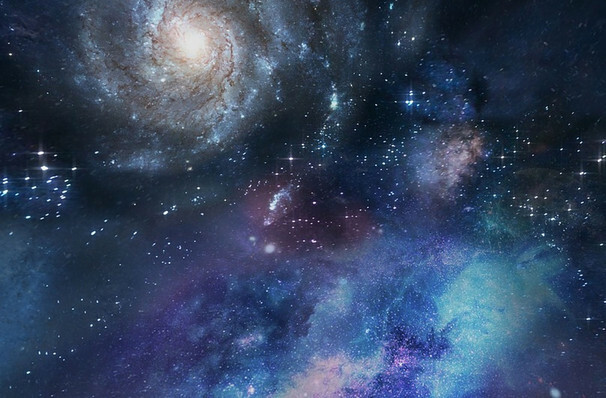 A relatively short time ago (if you take into account the age of our young planet in the celestial scheme of things) in a galaxy not far away at all, an epic space opera began its journey into pop culture legend with the release of the first Star Wars film in 1977. Forty-two years and almost eight films later (the hotly anticipated 'Episode IX' is due for release in the winter of 2019), the iconic adventures of Luke, Leia, Han, Chewie, C-3PO and R2-D2 are celebrated every year on May the 4th. What started out as a witty pun shared by fans in reference to the Jedi adage 'May the Force be with you' became a full blown Star Wars holiday as it caught on like wild fire in the media as a meme and a grass roots celebration. Celebrate this official Star Wars Day with the Detroit Symphony Orchestra and special guest conductor Daniel Brier as they shine a light on the music of the film empire, performing John William's timeless themes for favorite characters good, bad and robotic! Sound good to you? Share this page on social media and let your friends know about Detroit Symphony Orchestra - May the 4th Be with You at Detroit Symphony Orchestra Hall. 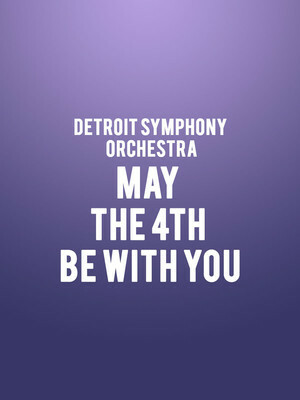 Please note: The term Detroit Symphony Orchestra Hall and/or Detroit Symphony Orchestra - May the 4th Be with You as well as all associated graphics, logos, and/or other trademarks, tradenames or copyrights are the property of the Detroit Symphony Orchestra Hall and/or Detroit Symphony Orchestra - May the 4th Be with You and are used herein for factual descriptive purposes only. We are in no way associated with or authorized by the Detroit Symphony Orchestra Hall and/or Detroit Symphony Orchestra - May the 4th Be with You and neither that entity nor any of its affiliates have licensed or endorsed us to sell tickets, goods and or services in conjunction with their events.